Pork is one of those dishes that is found on almost every household table at least once a week. The versatility of it reaches past that of most other dishes. Chefs everywhere have tested and experimented with all sorts of seasonings and cooking methods in search of the perfect pork chop. Each region has their own ways of doing things. Some would prefer to BBQ, others throw theirs in the slow cooker while the rest opt for the oven. No matter which way you cook it there are tips and tricks to ensure that it always comes out nice and juicy. When I stumbled across this recipe I was shocked to see that it only had three ingredients. Onion, Lemon & Paprika. So I tried it out and let me tell you, these chops are perfection! 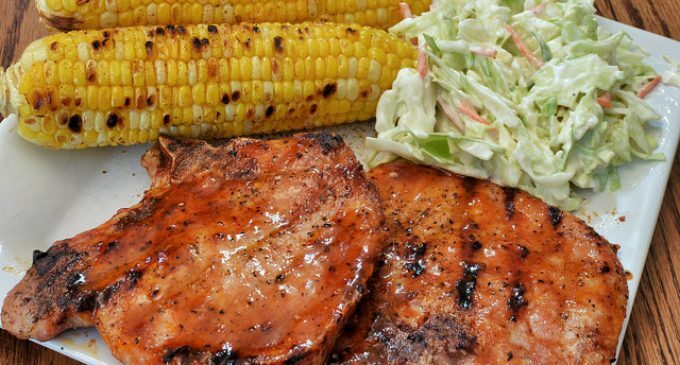 If you're looking for good old-fashioned hearty American comfort food, look no further than this mouthwatering pork chop recipe. It's super easy to make, and it's so exceptionally tender that we bet you've never tasted anything like it! These pork chops are guaranteed to steal the show and leave everyone at the table satisfied, but they're not as complicated to make as you might think. In fact, they're ideal for novice cooks or when you don't have time for a complex gourmet dish.